Udi Gluschnaider is running the London Marathon for the benefit of Beit Issie Shapiro, Israel’s leading provider and innovator of therapies for disabilities. In the second of a series of blogs in the lead up to the marathon, he explains the challenges that he and his son face. After my second son Eytan was born with a rare genetic condition, I searched for something that would help me keep my sanity. Therapists and support groups didn’t seem to help. I discovered long-distance running and it quickly became my therapy. I set a goal for myself that one day I would run the London marathon. Eytan suffers from Rubinstein Taybi Syndrome. It’s caused by a rare genetic mutation with no known cure. The sadness and disappointment we felt after he was born, slowly turned into gratitude and joy. Now, if I had to choose one word to describe Eytan it would be ‘gift’. He literally shines and spreads his happiness to all those around him, not only to his family and care givers, but also to children he meets at the playground, and even passersby on the street. Eytan is a middle child, but not in the typical sense. He is adored by his big brother Eylon and baby brother Elad, and he loves to play with them too. He can’t speak, but is able to communicate using an iPad, sign language and gestures, all of which he acquired at Beit Issie Shapiro in Israel. 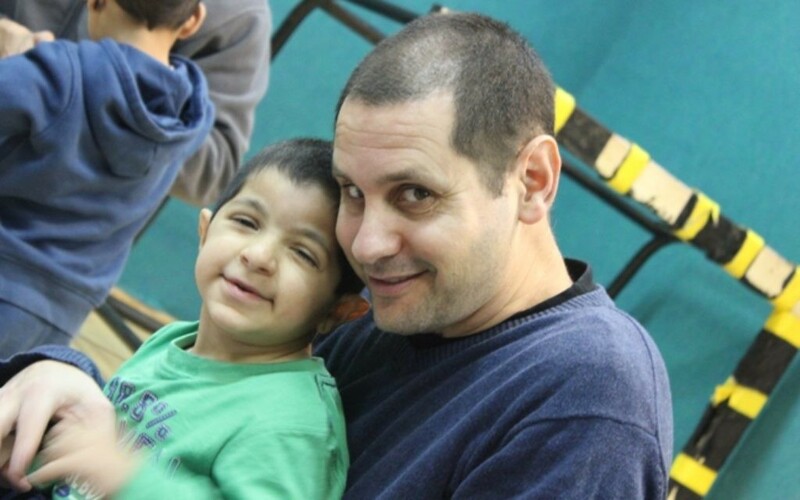 They worked with us so we could continue helping and understanding Eytan at home. We realised from a young age that Eytan’s major challenge would be his communication skills, so we focused on this particular area. 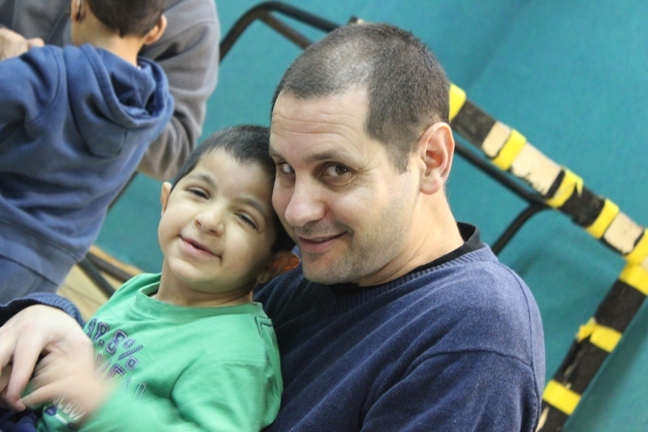 My wife Inbar, and Liraz, our speech therapist at Beit Issie Shapiro, developed a unique programme, which was personalised for Eytan’s needs. It was designed to combine Eytan’s therapy at nursery with the care he received at home. This special collaboration also led to a series of lectures which they jointly gave in order to help others tailor a programme and integrate early years therapy and home care. During my runs I often think about the challenges that our family faces. I think about how Eylon became a care giver at such a young age, and about how our sweet baby Elad was born into a special family. I feel proud of our three magnificent children, and of my wife and myself for the way we cope and work hand in hand with Beit Issie Shapiro. Every day is a marathon for Eytan. As the training for my marathon progresses, and I am able to run longer distances, it gives me time to reflect on just how far Eytan has also come. To sponsor my run, please click here. Money raised by UK Friends of Beit Issie Shapiro will go towards advancing the charity’s world-first use of iPads in the water, which helps children like my son communicate and benefit exponentially from hydrotherapy.